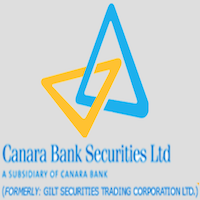 Online Application Details for Canara Bank Securities Limited CBSL Recruitment of 1 Database Administrator and 2 Systems Administrator is given below. Application form and duly attested documents are to be sent to The Senior Manager, Canara Bank Securities Ltd, 701, 7th Floor, Maker Chamber-III, Nariman Point, Mumbai-400021. In envelope super scribed with 'Application for the Post of Post Name'.